This former cruise ship can accommodate upwards of 80 guests. 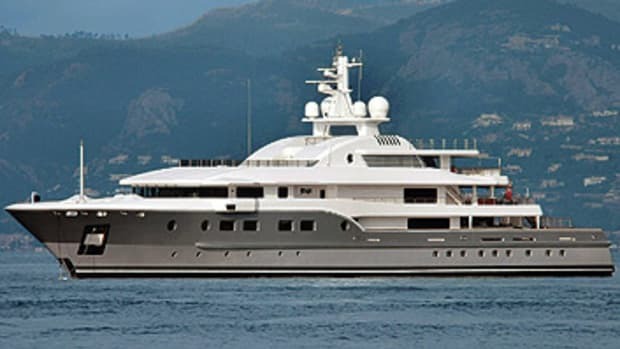 That’s a big attraction for large charter parties as well as corporate charters. 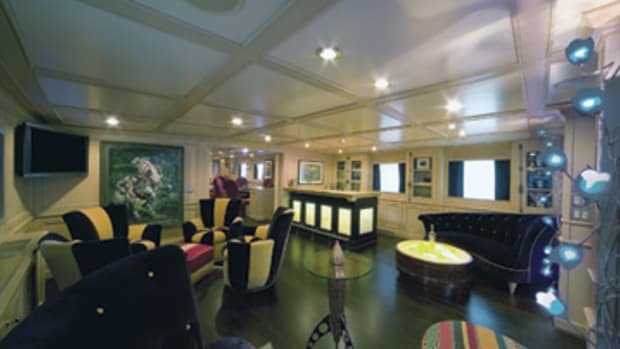 Among the 26 guest staterooms are 14 two-bedroom suites, each with a connecting saloon that can also be used as a small meeting room. Alexander also has a 27-seat cinema and a children’s playroom (complete with video games, naturally). Hopefully everyone can continue to play nicely when it comes to the watertoys, as there are only two PWCs.